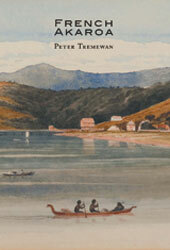 Home - Libeau Descendants Society Inc. Libeau Descendants Society Inc.
On March 15 1840 the Comte de Paris sailed from Rochefort, France, heading for Banks Peninsula in New Zealand. 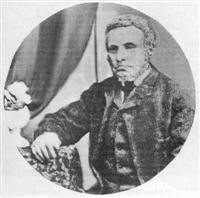 Passengers included Joseph Libeau and his wife Magdeleine as well as two children, with a third born on the journey. On August 17 1840 the anchor was dropped in Akaroa harbour. An English ship had already arrived only three days earlier. In Akaroa another six children were born to Joseph and Magdeleine, one child died only days after birth. Joseph remarried in 1852 to Mary Ann Hedgman with an additional eight children being born. Some of the original buildings that were built by Joseph Libeau still stand and can be found in Rue Grehan. Society members are more than happy to point them out. In Akaroa a number of the grave sites of the family who landed can also be found. On the weekend of August 17-19 1990 the 150 year commemoration was held. writers, discussion with many people, documents discovered in archives and reports in old newspapers. The Libeau Family of Banks Peninsula – revised 2012. Complete fully revised printing, now 975 pages of family history, a huge number of never seen before photo’s, then and now. Previous book was printed in 1995 with 687 pages. Each month features Libeau family members from the first 2-3 generations after arrival in New Zealand in 1840, including photographs and brief biographical notes. 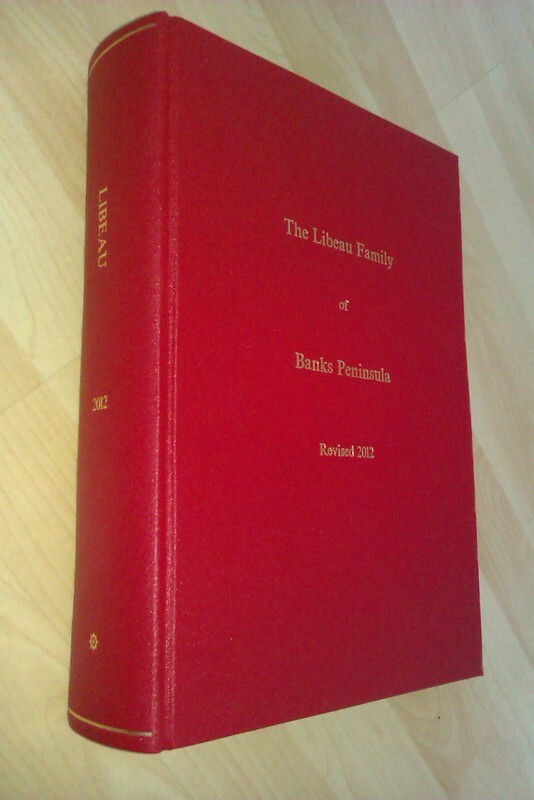 Book on the Libeau Family – Can you help? With the support of the Libeau Descendants Society, we are currently researching for a book on the early generations of the Libeau Family who came to NZ in 1840. 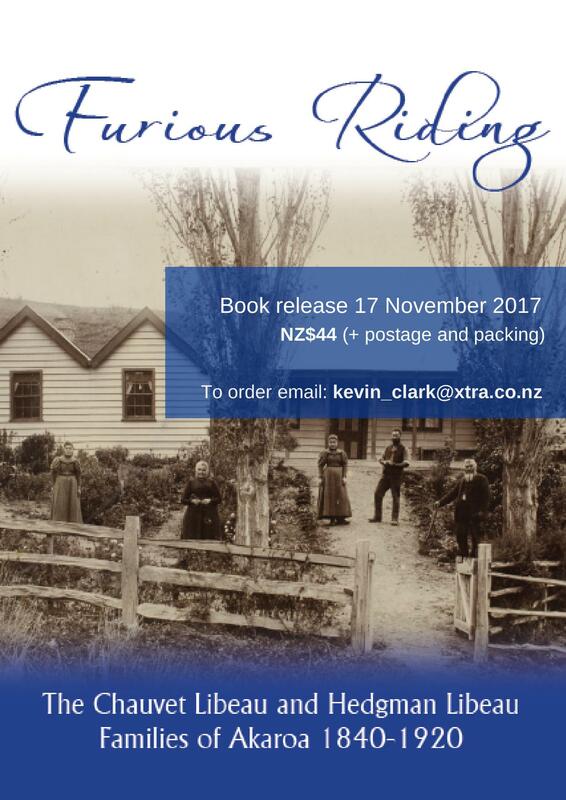 The book will look at where they came from and the lives of the first 3-4 generations after settlement in NZ from 1840 to 1920. There is an additional map available to members highlighting over 30 Libeau family landmarks of historical significance.